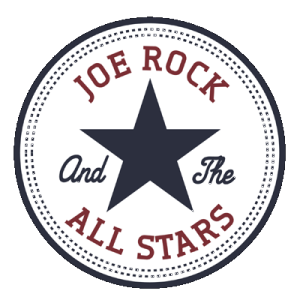 Joe Rock and The All Stars are a high energy rock band. The band is built around the “Core Four” players of Joe Rock, Lou Carrollo, Gene Linefsky and Mark “The Animal” Mendoza. The band is most commonly a quartet but they are available from Joe solo acoustic up to a 10 piece band with a horn section, female singer and more. The All Stars show is high energy with lots of audience participation. Joe and the band do both covers and originals. They can do a show of all covers, all originals or a combination depending on your needs. Here are some of the venues and festivals Joe Rock and The All Stars have played: The Paramount in Huntington NY, NYCB Theater at Westbury (Westbury Music Fair), The Space at Westbury, The YMCA Boulton Center for The Performing Arts, The Oyster Fest in Oyster Bay NY, The Huntington Lighthouse Music Festival, The Great South Bay Music Festival, The American Music Festival in Port Jefferson NY, The Cedar Beach Blues and Roots Festival, The Barrier Beach Blues and Arts Festival, The Long Beach Roxx NY Festival and The Montauk Music Festival. Joe Rock is not only known for his songwriting abilities but also for his dynamic live performances. Joe Rock has been a mainstay of the music industry on Long Island for decades. 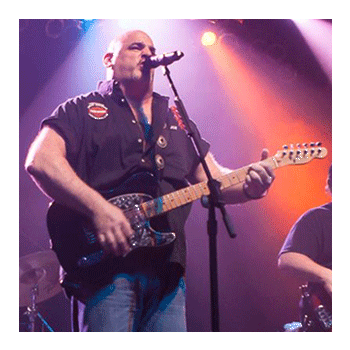 When it comes to performing, Joe Rock does it all-Rock, Blues, Rockabilly, Punk and General Mayhem. It has been said that his on stage energy is “A force to be reckoned with”. Over the years Joe has shared the stage with Grammy Winners, Rock And Roll Hall Of Fame Inductees and Long Island Music Hall Of Fame Inductees. You must see him live to truly experience what Joe Rock is all about !!! 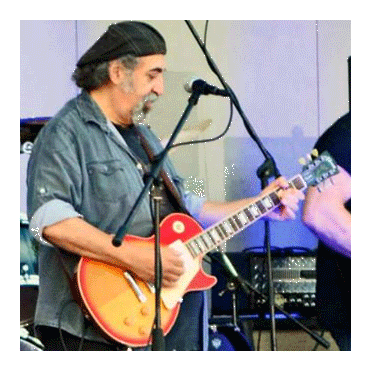 Lou is a Guitarist, Songwriter, Performer, Teacher, Pub Rocker, String Bender, & Fret Board Explorer from New York. Not only does he play with Joe Rock & The All Stars, but he currently plays with the Blues Rock trio Backbone, and plays many solo acoustic shows as well. Lou was a member of Breakaway and also works with Killer Joe & The Lido Soul Review. On June 10th, 2012, he was inducted into the New York Blues Hall Of Fame. He was also a finalist in the 2005 International Blues Challenge in Memphis, Acoustic Solo/Duo category with Breakaway band mate Howie Haber. He has shared the stage with Carmine Appice, Twisted Sister, Mark Wood, Randy Jackson from Zebra, John Gatto & Joe Franco from The Good Rats, CJ Ramone, Tony Orlando, Gary US Bonds, Sandy Gennaro, Jack Scarangella, Bob Margolin, Richie Canata, Jon Herrington of Steely Dan, Arno Hecht of The Uptown Horns, The Michael Packer Blues Band, Vic DiBitetto, Vincent Pastore, and several cast members from The Sopranos. He has appeared on The Artie Lange Show, Wes Houston Presents, The Blues Warehouse, and Graveyard Blues. 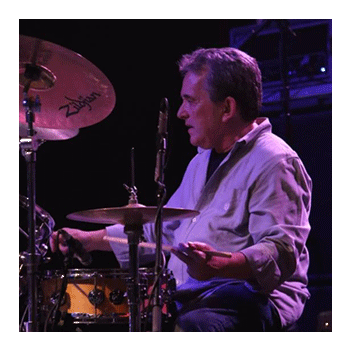 Gene Linefsky is a seasoned drummer, equally comfortable playing a wide array of genres. Gene studied music at City College in their Jazz Performance program. He was a very active freelancer in the NYC music seen, performing jazz, classic rock, funk, reggae, and country, and a was member of the house bands at the Plaza and Pierre, hotels, as well as Tavern on the Green and the Water Club. Gene also did a brief stint with the show Band at the Browns Hotel in the Catskills, accompanying an array of performers that included Julie Budd, Cavril Payne, Enzo Stuarti, Sergio Franchi, and Juliet Prowse. Gene has shared the stage with many notable musicians, including Gerry Niewood, Conelius Bumpus, John Mosca, Rod Morgenstein, Tom Kennedy, Billy Mitchell, Don Hahn, Dee Snider, Mark Mendoza, Jay Jay French, Vince Martell, Arnie Lawrence, Marc Ribot, Richie Canata, Billy Joel, Mark Wood, John Gatto, CJ Ramone, Phoebe Snow, Gil Paris, Randy Jackson, Gene Cornish, Arno Hecht, and Richie Canata. In more recent years Gene has resided and performed primarily on Long Island. Mark is not only a member of The All Stars but he is also the bassist of the American heavy metal band, Twisted Sister. He joined the band on December 10, 1978, after he left The Dictators. 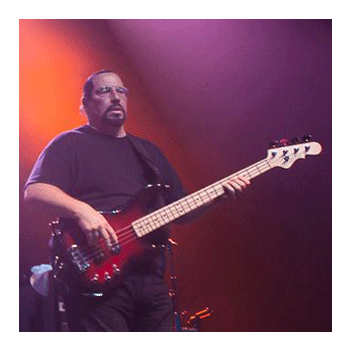 Mark played the bass guitar on all of Twisted Sister’s major label releases. After dominating early MTV with albums like Under the Blade and Stay Hungry, the band took an extended hiatus when Mendoza joined a southern rock outfit known as Blackfoot. Twisted Sister has since returned and released a Christmas album in addition to touring throughout the world. Mark enjoys performing to support many worthy charities.